Oh I Say indeed! I had commented how Serena looked far from comfortable in her 6-3, 6-3 victory last time out. I had placed this down mainly to the heat but as it turns out a back injury is to blame. Williams looked even more off colour against the Serb Ivanovic who still had to hold her nerve and play well to beat her opponent such is the American’s aura. Still there you go Williams (who I mistakenly referred to as the defending champ here in a previous post – sorry Azarenka fans) is out and the draw has been ripped apart. Ivanovic now faces the unstoppable Eugenie Bouchard who dashed Aussie hopes, beating Dellacqua quite comfortably in the end after losing the opening set on a breaker. 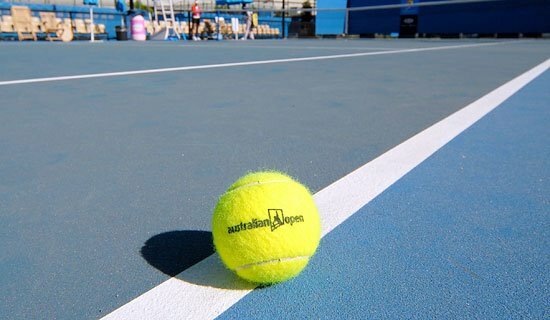 But there have been encouraging signs this week that Australian tennis is beating with life once more – Stosur has been back to her best for a while now of course but Dellacqua’s performance is good for the future. The other quarter final match-up decided so far will feature the veterans Li Na and Flavia Pennetta who is busy repeating her US Open exploits and proving once more that Italian tennis players age better than most. No such shocks from the men as the usual suspects swept through via some sparkling stuff. Wawrinka and Robredo – rightly the main match of the evening session was the best contest as the Swiss battled past the Spaniard in straight sets but needing two breakers en route. Berdych vs Ferrer and Wawrinka vs Djokovic makes for some lovely reading. Pennetta gets a mention after denying Kerber and Djokovic was again producing some wonderous tennis. But Ivanovic takes the spoils and deservedly will now have another crack at the title. I’m not a fan but beating Serena has become a superhuman feat now, injury or not.